The sky is amazing. Soft clouds creating different shapes show anything you want. Just take a closer look and daydream. 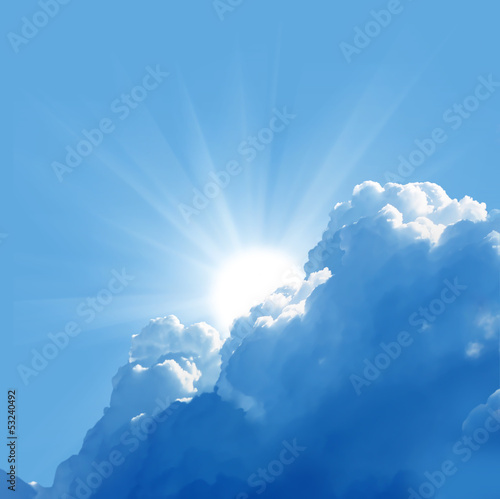 The perfectly blue sky will be an excellent photo wallpaper to your child’s room, your kitchen or your bathroom. May the arrangement burst with nature. Let sun rays illuminate your interior.